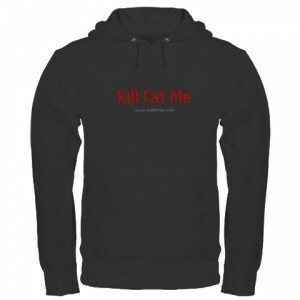 Want Some Fun "Kill Fat Me" Gear? One of the friends of Kill Fat Me suggested that we offer some custom gear and we think that’s a great idea! Check it out and have some fun with it! Let us know if there is any other gear that you would like us to offer. Good news! The shopping cart issue Cafe Press has been fixed. So start shopping!